I had every intention of purchasing a camera stabilizer for my Canon 7D. After a week of research, I found the following 8 possible choices. My Top Three were the Steadicam Merlin, the CMB Blackbird and the VariZoom FlowPod. Each one of these stabilizers has unique features which makes them worth pursuing. 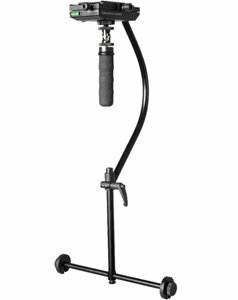 Steadicam Merlin is the lightest of the group and the most expensive. It is very unique; it is the only one that folds. CMR Blackbird is similar to the Merlin, but can support more weight. 8 pounds is sufficient to support the Canon 7D, BG-E7 grip and an L lens. VariZoom FlowPod may be the most practical of the three. 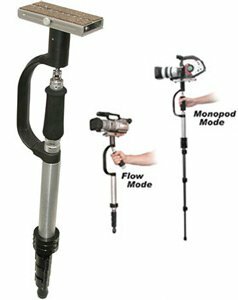 It is both a camera stabilizer AND a monopod. It is also the only one of the three which has a low mode option for shooting at ground level. It even supports up to 9 pounds. Gyros (not the Greek kind). Almost every one of these stabilizers uses a gimbal (gyroscope-like) mechanism to add a zero-gravity float on the camera. Only the SteadyTracker does not. Watch the sample videos very carefully. A gimbal can create an inertia for the camera which can also veer left or right for no apparent reason. This seems to be a real problem with the inexpensive U-Flycam as well as others. The more expensive rigs allow you to add friction to the gimbal to reduce the wild turns. Otherwise, you will need to use your other hand to keep the rig stable. This is another reason to try the weighted tripod technique which I posted before purchasing a camera stabilizer. The SteadyTracker is really a “refinement” on the weighted tripod using your hand as the “gimbal”. But, even a gimbal can show a wobble in the video from walking when shooting with a wide-angle. A vest attachment may help reduce the wobble, but is more effective at increasing the length of use by distributing the weight of the camera and rig over the operator’s body. Just FYI, none of these use a gyro. A gyro would mean there’s a spinning mass somewhere on the rig. The gimbal is just a very smooth, almost frictionless bearing that allows the precise balance of the whole unit to keep the camera stable. I have questions regarding the merlin and the blackbird. Currently I’m using a 7d with 24L and a glidecam 2000 pro for the shoot. It’s too heavy for me. 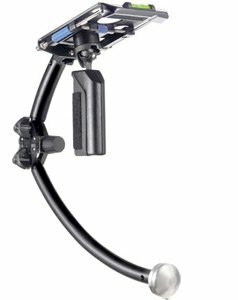 I want to get another stabilizer that is easy on the wrist and arm so the blackbird and merlin are into consideration (the only 2 available stabilizer available on my country apart from glidecam). merlin is rated under 1 lb while the blackbird is 2.1 lb. 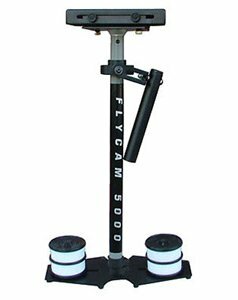 I dont know about the glidecam 2000 pro maybe its heavier and it’s off axis handle make it heavier as well. the blackbird does have the smoothtouch option to add more friction to the gimbal to prevent unwanted rocking and pendulum motion. Is that mean that the blackbird will fly “firmer” that the merlin? the glidecam is too sensitive, its hard to keep the lens pointing to the desired position while on the fly. I have seen great footage about the blackbird but I’m concerned about the weight. If it weighs the same as a merlin, it would be a no brainer to pick the blackbird over the merlin. 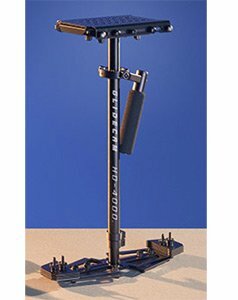 How far is weight difference between a glidecam pro 2000 and blackbird? Keep in mind – each unit starts out at a particular weight. However, once you start adding the counterweights and your equipment, it will get heavier. 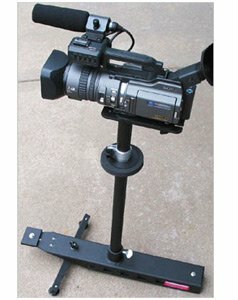 Maybe, instead of looking for a new stabilizer, you should consider adding vest to the glidecam. 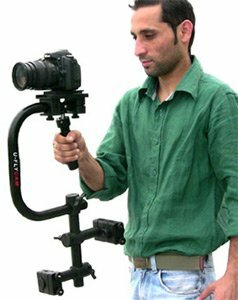 It would distribute the weight of the glidecam across your body, allowing you to operate it for an extended period of time. Most professionals eventually get a vest system for extended shoots. 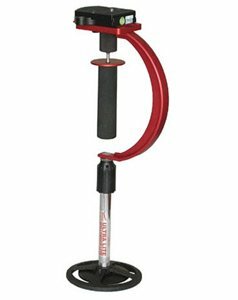 It also might be cheaper than jumping into a new stabilizer. As for controlling the drift, if you watch the videos of the different units, you will notice that many users wrap a finger around the gimbal to prevent drift. Just a light touch should be enough to stop the drift while allowing the gimbal to still balance. You’re always supposed to be using your other hand with these passive stabilizers. And while a weighted tripod will definitely smooth out the motion it lacks the auto-levelling you’ll get with a gimbal. It is much more work trying to replicate this with your wrist. Regardless a weighted tripod beats having nothing. Did you see my new video of the NYC Halloween Parade? I shot the entire thing using the weighted tripod method. Yes, it demonstrates that the weighted tripod method is a valid low budget means to improve stability. But it is more work and much more difficult to get smooth level shots. Similarly using an arm beats using something like the Merlin handheld, but it’s another big jump in cost. Use the most expensive method you can afford.